Be the first to share your favorite memory, photo or story of Patrick . This memorial page is dedicated for family, friends and future generations to celebrate the life of their loved one. Patrick Carl Pearson, 82 of Chicago, IL, born December 19, 1936. Died peacefully at his winter home in Lauderdale-By-The-Sea, FL on Monday, January 21, 2019. Pat was the son of the late Gottfrid and Hannah (nèe Bowler). He is survived by his wife of 57 years, Barbara (nèe Tomaszewski). 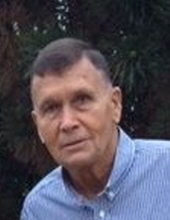 He is the cherished father of Jeff and Jennifer (Michael) Clancy; treasured papa to Briana, Jeffrey, Grace, Hannah and Nora; dear brother of the late MaryAnn (George) Schloegl, John (Betty) and Tim (Marilyn); adored uncle of many nieces and nephews. Pat served in the U.S. Army at Ft. Riley, KS from 1957-1959. He was a devoted employee of the Chicago Water Department for 40 years. Pat was a boxing instructor at Scottsdale Park for 25 years and lifelong Cubs fan. To send flowers or a remembrance gift to the family of Patrick C Pearson, please visit our Tribute Store. "Email Address" would like to share the life celebration of Patrick C Pearson. Click on the "link" to go to share a favorite memory or leave a condolence message for the family.